After not having been in the show ring since he became a Grand Champion (November 2011), the first day he went back into the ring, he went BOB!!! 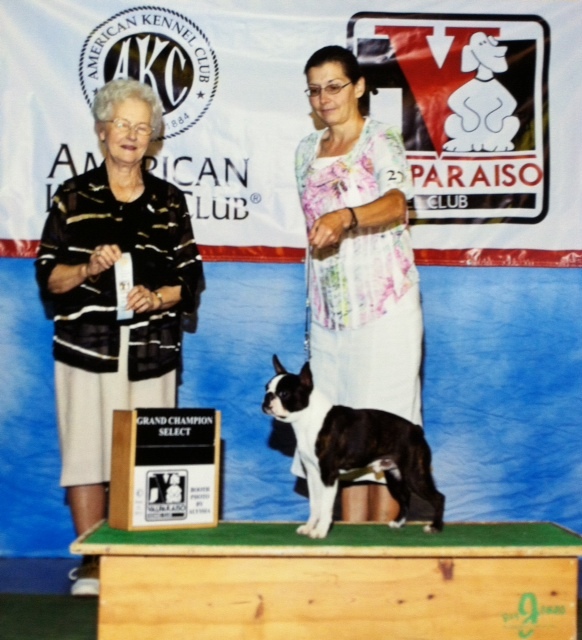 He also was Grand Champion Select another day of the same show. Rockwell would not stay put for this photo, so with his stepping forward it made the photo look off, (but his other photos show him great)!!! At least I now have one that says Grand Champion!!! 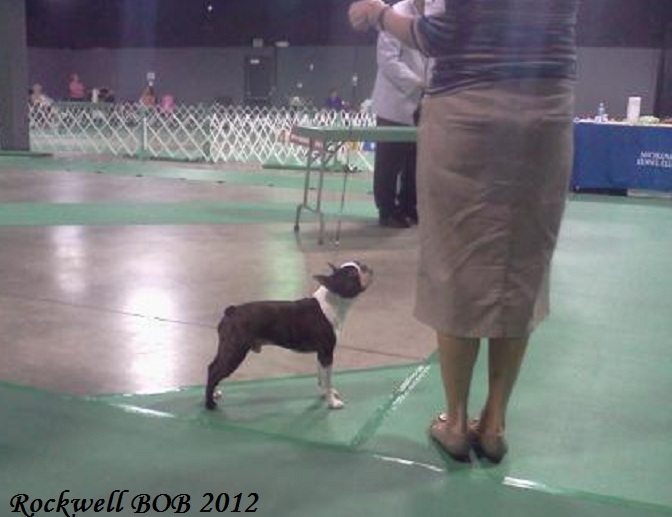 I sure do have fun with my boy in the AKC show ring!! !